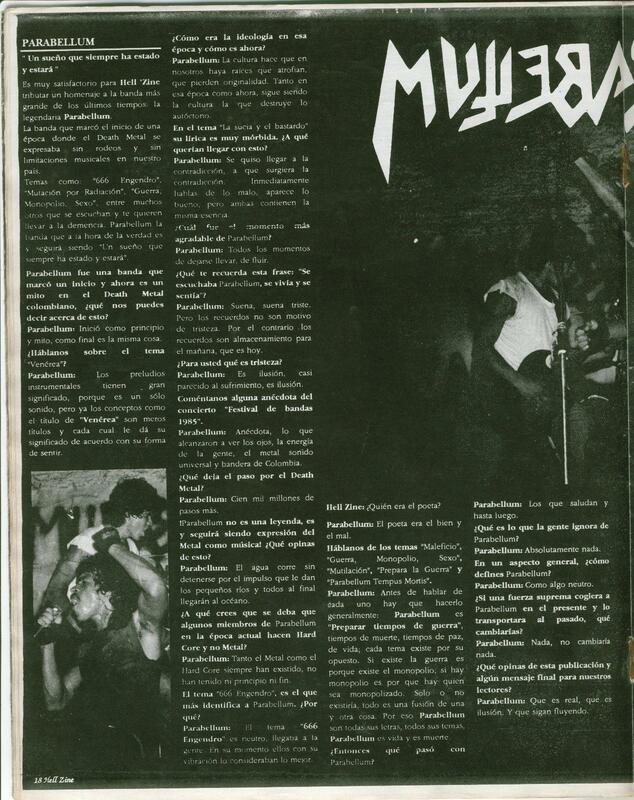 Here's a weird interview with the legendary Parabellum from Medellin, Colombia. Kinda pointless interview but still worth reading it. Taken from Hell'zine#7, not sure about the year. Both spanish and english translation. Thanx Jum for providing again awesome stuff! !